It’s not over – another powder day on Saturday and/or Sunday (May 12-13)? I thought my previous post would be the last one for the 2017-2018 season, but the atmosphere has other ideas. Another spring storm will track toward Colorado later this week, and right now it appears that we might have powder days on Saturday, May 12th or early on Sunday, May 13th. The storm will target the northern mountains. 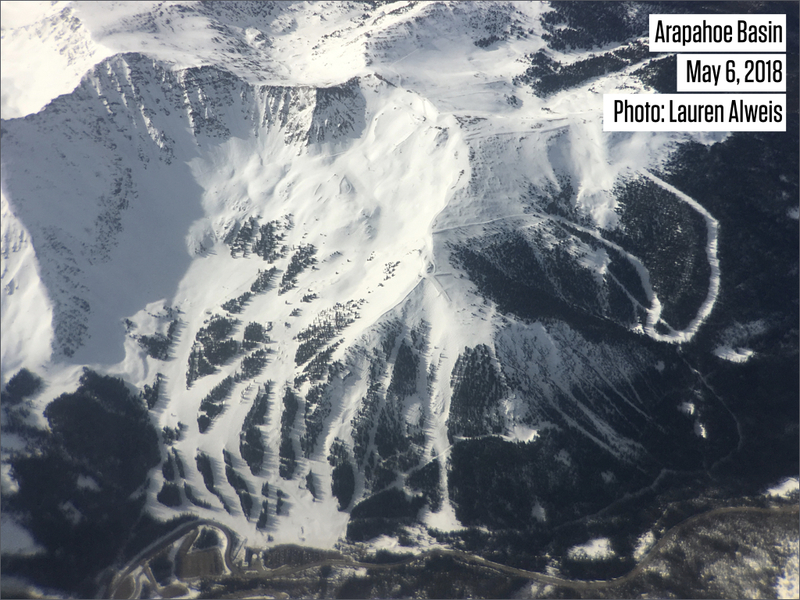 Arapahoe Basin is the remaining open resort, and of course, you can always earn your turns in the backcountry. For Arapahoe Basin, multiple versions of the American GFS and Canadian models average to 7 inches (the lower part of the graphic shows snowfall and the upper part of the graphic shows liquid equivalent precipitation). 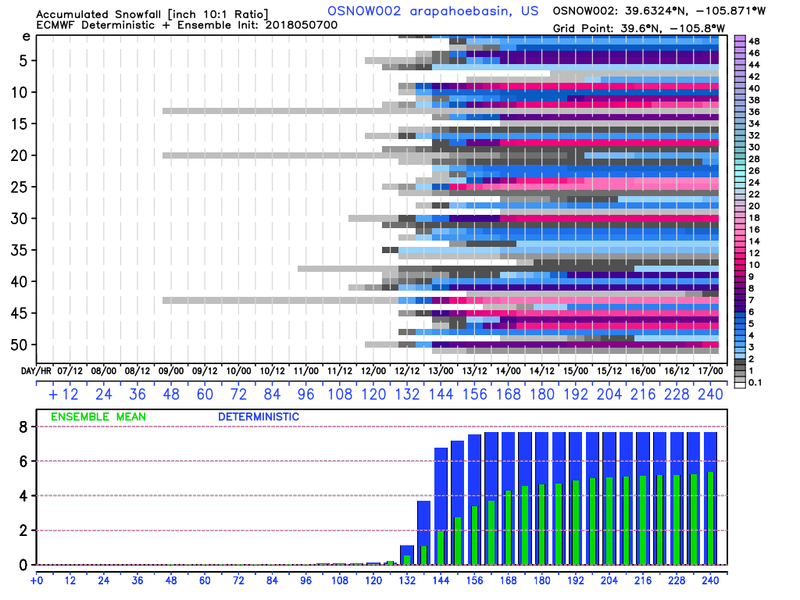 And multiple versions of the European model average to 5 inches (the green bars in the lower part of the graphic). This is a messy storm which will swing through with multiple waves of energy. It also doesn’t appear to be strengthening as it moves into eastern Colorado (like our last storm). Both of these issues give me lower confidence in snow totals, but with the high amount of moisture in these spring storms, double-digit snow amounts are always a possibility. The snowpack at Arapahoe Basin (and throughout many areas of the northern mountains) continues to be healthy. My wife took the picture below, of Arapahoe Basin, while on a flight heading west from Denver. Plenty of snow to ski, whether it’s in a t-shirt on the sunny days or with powder underfoot on Saturday and/or Sunday! I’ll post again on Wednesday (May 9) with an update about the upcoming storm.